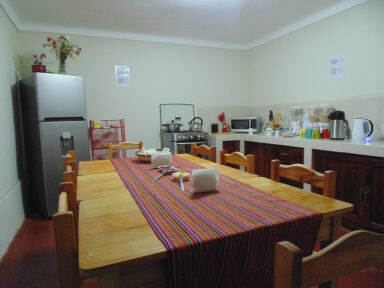 Magic Cusco Hostel is a very clean, well maintained and comfy place where you will have access to common areas as a very cozy terrace and a big fully equipped kitchen that you can share with your adventure companions or other guests. Magic Cusco is a cozy guesthouse implemented with lots of dedication and affection for our guests, who always are attended with much enthusiasm. 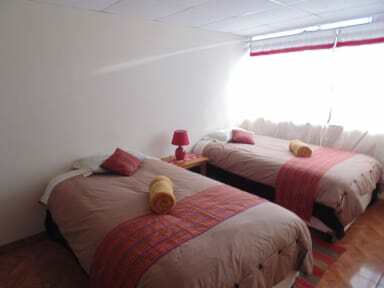 We are located in the district of Wanchaq, a very safe and quiet area of Cusco, just 2 km from the city center and with easy access to public and private transportation. In this sense, from our facilities, you can visit some of the finest landmarks of our city such as Plaza Mayor de Cusco, Twelve Angled Stone, Cusco Cathedral and Saqsaywaman, amongst other interesting spots of the city. All our rooms are private (some ensuites others shared bathroom), we got comfy beds as we value the sleep quality of our guests, warm bedding is provided as also soft towels, toilet paper and shampoo.